Black DMP�has a unique 3-layer foam system featuring Superfeet�s Dynamic Molding Process to provide comfortable, therapeutic support for sensitive feet. 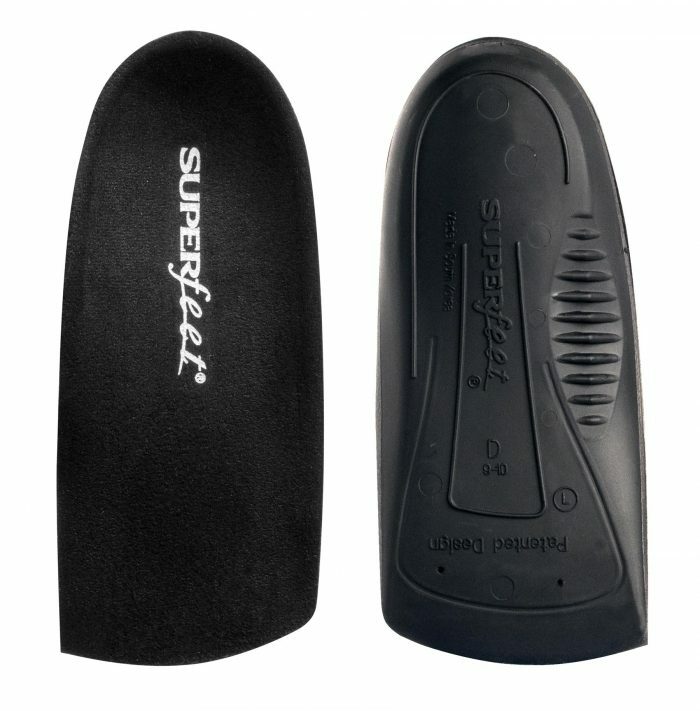 The top cover on the Superfeet Black DMP�is designed to help decrease friction due to excessive motion. 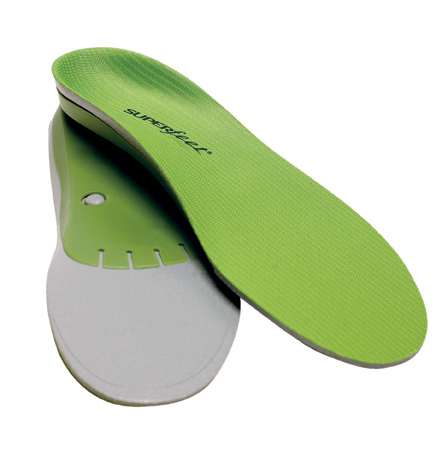 The multi-layered, self-molding foam full length helps redistribute plantar pressure and improve fit. 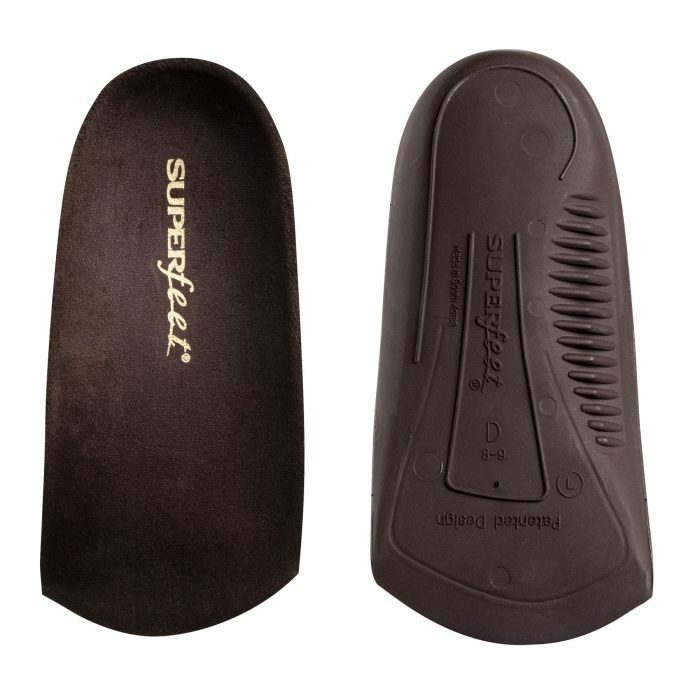 The skegs under the heel of the�-length stabilizer cap provide stability posting for the rear foot. 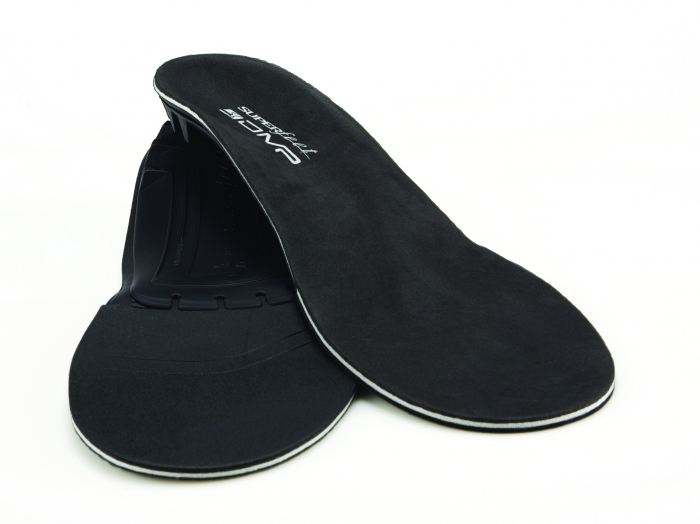 Black DMP�is ideal for people who find conventional orthotics uncomfortable. 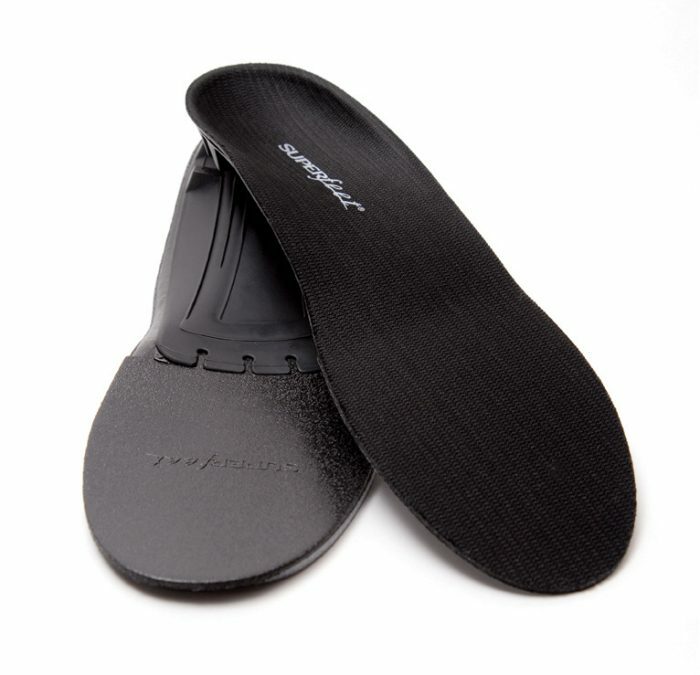 IMPORTANT: Black DMP�is available exclusively to healthcare professionals and qualified Superfeet Dealers who are part of our Dealer Network Referral Program.�Highly impressionable memory foam top layer cradles the shape of the foot.�Interactive PU foam middle layer provides comfort without compromising stability.�Proprietary�D-Foam�bottom layer and polypropylene stabilizer cap maintain shape and support.�Encapsulating Stabilizer System�[ESS]�provides firm underfoot support.